Tools Needed: Hex Driver, 27mm Deep Socket, 10mm socket, 19mm socket (ALTERNATIVE: Torque Wrench), 12mm socket, 4″ socket extension, Power Drill, Side Cutters, Socket wrench, 10mm wrench, 12mm wrench, Jack, Jackstands. 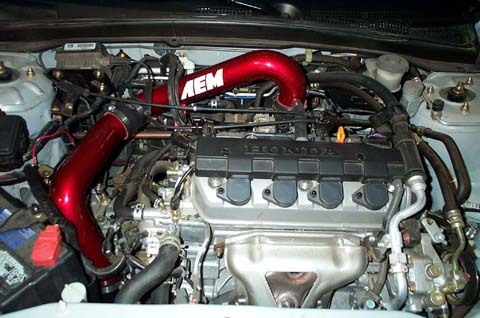 Purpose: Increase air (cold) flow into engine for better burn. Increase in Power. 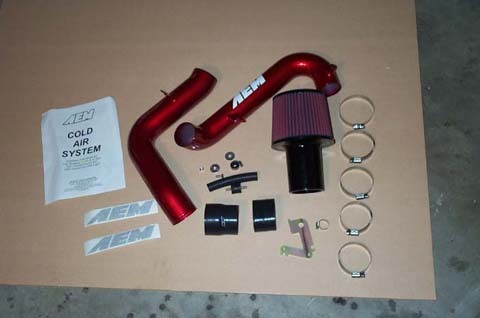 This is all that comes with the AEM CAI. 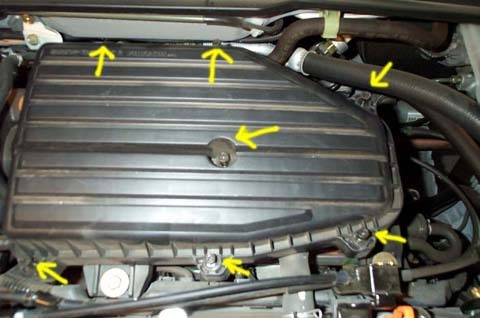 In order to remove the stock air filter box there are 7 screws/bolts that need to be removed. 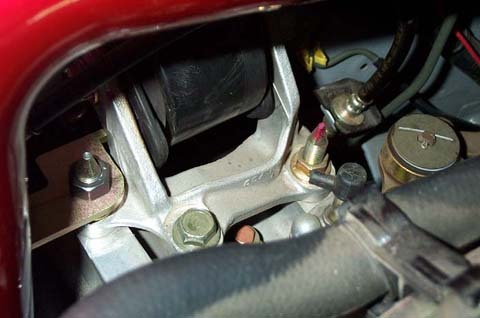 Using either your Phillips head screw driver or an 8mm socket, remove the 7 screws/bolts off the air filter box cover. 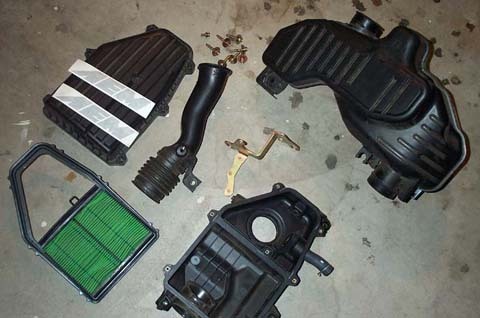 Remove the remaining bolts that hold the bottom of the air filter box down. Now it’s time to remove the transmission bracket. 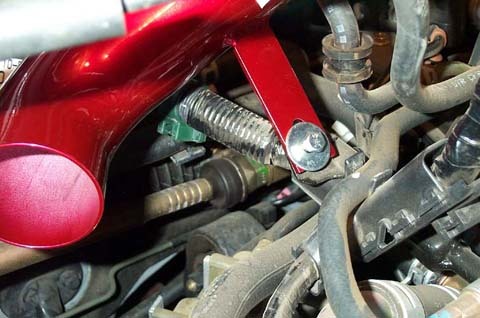 Get your 27mm deep socket and remove the reverse light switch, and make sure not to loose the washer nor drop anything in the gapin 27mm hole. Remove the ground cable and clutch line bracket. 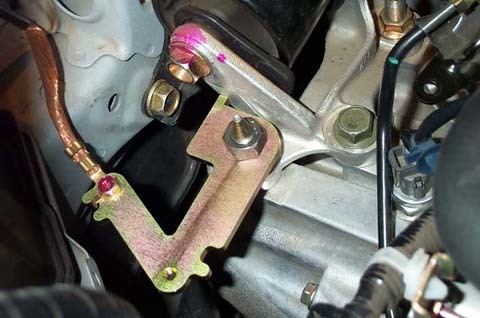 Next get your 12mm socket and remove the 2 bolts holding the mounting bracket on the transmission housing. Re-install the reverse light switch remembering the washer.. 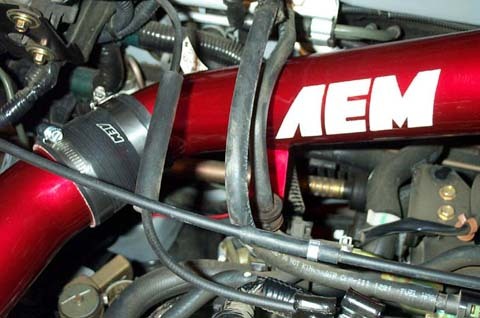 Install the new AEM supplied bracket. 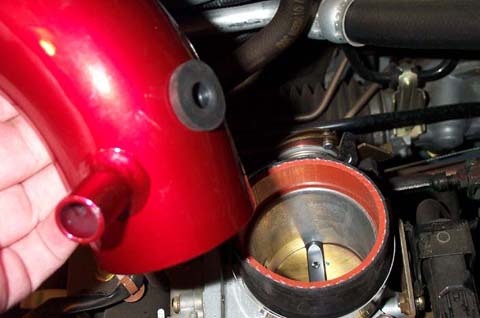 The AEM instructions call for removing the nut attached to the transmission mount, which requires 40 ft/lbs. 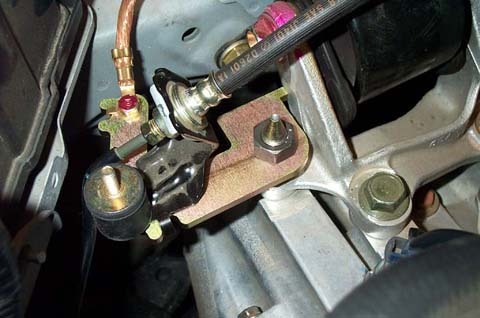 of trouqe (USE Torque Wrench), but there is another solution. Thanks to InspectaDeck on 2k1civic.com, pick up a nut to fit (12×1.25). The head size will most likly turn out to be 19mm, at least mine (ph0ng) was. Now just mount the bracket on top of the stock nut, and tighten. Remember to attach ground cable onto the bracket as well. 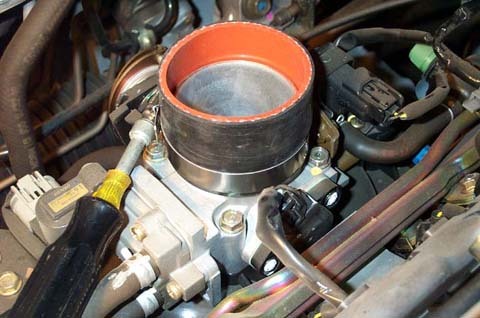 Install an adapter sleeve onto the throttle body using one of the 2″ hose clamps. 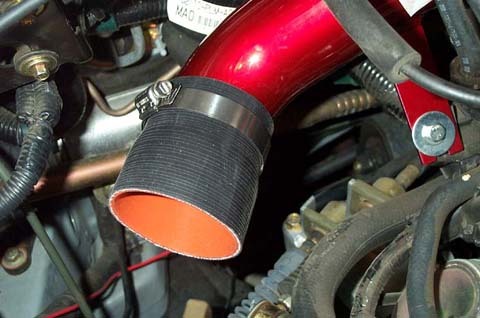 *NOTE* For ACURA 1.7 EL owners, you may wish to cut the adapter sleeve down a bit so the intake pipe will have more clearance. 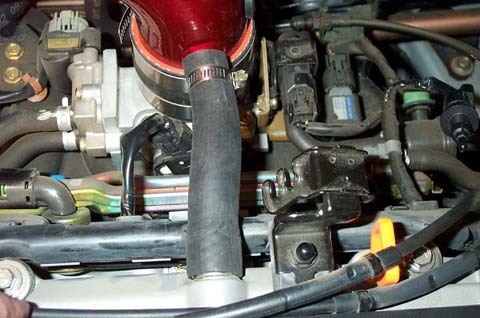 This is due to the fact that there is layer of sound deadening on the EL’s Hood..
After tightening the lower clamp, remember to put a second clamp on the sleeve before attaching the upper pipe. 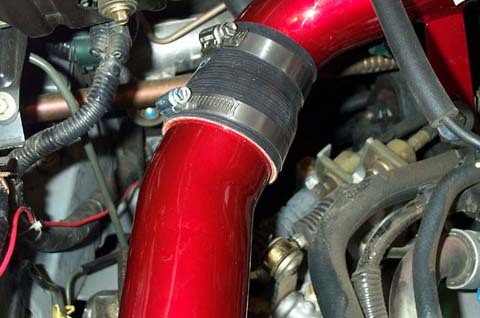 Install the upper intake pipe onto the sleeve and tighten the clamp. 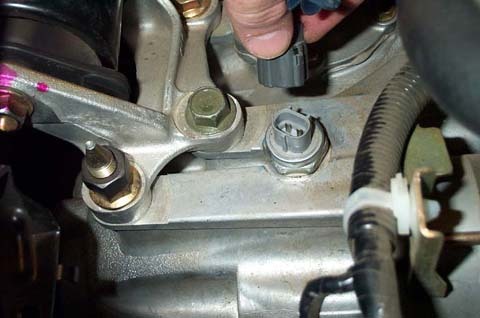 You can also put in the rubber grommet for the sensor at this point, or some have found it easier to place the sensor in the grommet first before putting the grommet into the pipe. 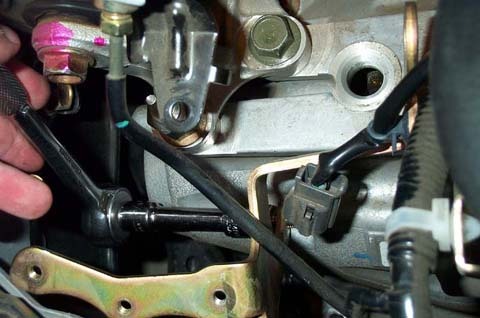 Connect the breather hose to the crankcase, and clamp down. Install sensor at this point as well if you haven’t already. Install another adapter sleeve onto the end of the upper pipe and have the clamp loose enough for play. 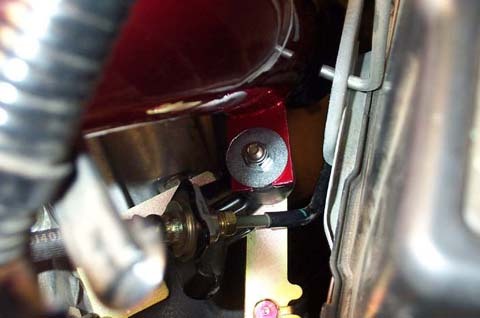 Now mount the clutch line bracket using the AEM supplied bolt..do this from the top. Now tighten all your clamps and make sure the tubing sits properly. It should all look like this now. Next jack up the car, and crawl under the engine compartment. 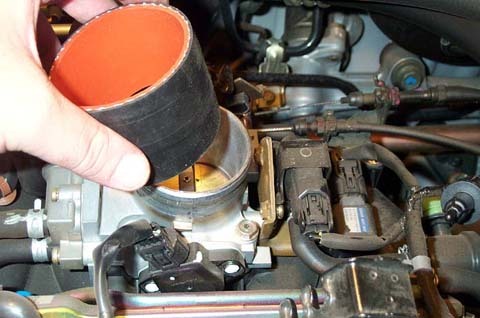 Using the last hose clamp, slide it over the filter tube, and install the filter onto the lower intake pipe. 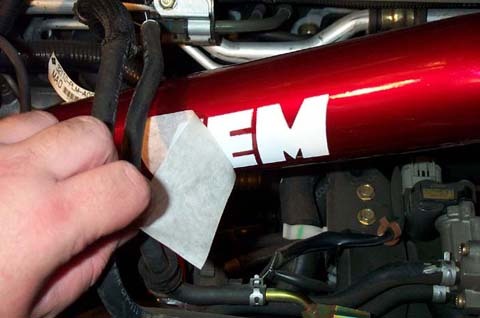 Now if you believe stickers add 5 HP, then peel off the backing and slap one of em on your intake! 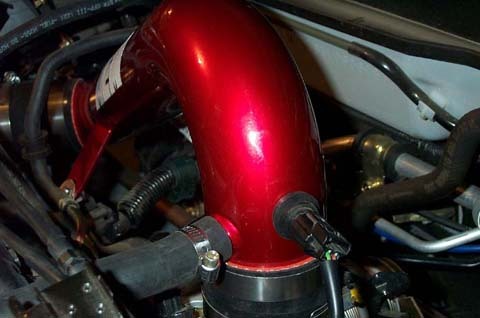 Now you’ve succesfully installed your intake. 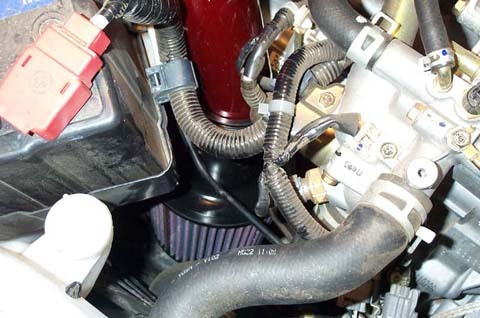 You’ll probably want to reset your FI ECU to notice any difference immediately. Here’s how to do it. 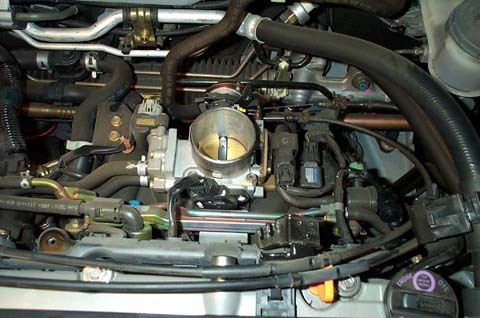 Open the fuse box in your engine compartment and look on the diagram for the F.I. ECU (7.5 amp fuse). Pull the fuse out and wait 10 minutes or longer. Put the fuse back in. VERY IMPORTANT – Start the car, and DO NOT touch the gas peddle!!! Let the car idle for about 10 minutes, DO NOT toch the GAS!!! Turn on car, and turn back off. Turn back on, and test it out! Here’s what it looks like from afar. You should be having a tea party with all these parts here…this is what’s left over. Here’s some left over photos. 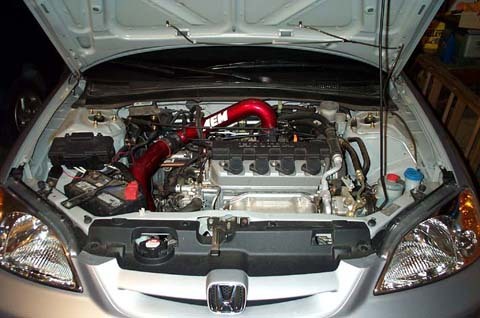 You’re currently reading “Install An AEM Cold Air Intake,” an entry on Ghosty’s 2K1 Honda Civic Coupe.